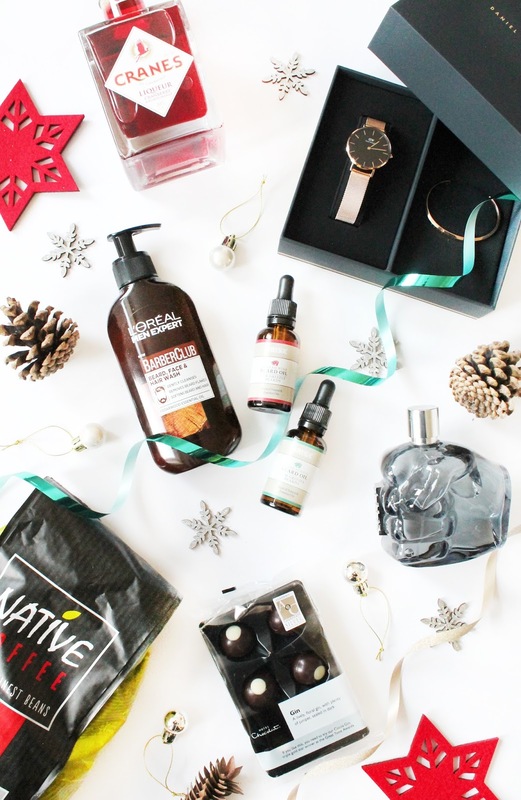 It's that time of year once again, where I put up probably my favourite blog posts to work on and that is of course my Christmas gift guides! I thought i'd kick things off this year with probably the most difficult people to shop for.. men! Having said that, I like to think i'm quite good at gift giving for everyone, so hopefully these ideas will help you if you're struggling! Being a beauty based blogger of course i'm kicking off with a few beauty bits that the men will love! Most men nowadays seem to be rocking some form of facial hair and there are so many brands now that specialise in beard products. L'oreal have recently released their Barber Club range which I spotted online a few weeks ago and thought the concept behind it all is great but also affordable for those who take pride in caring for their beards. With four products including a moisturiser, oil, wash and styling cream you really can't go wrong and they all smell incredible! Also another brand that i've seen a little about is Brisk, who are a mens beard brand aimed at grooming any type of beard and I spotted their Brisk Mini Duo (£6.50) and thought this would make a cute stocking filler. This little set contains two beard oils, one mulled wine scented and the other fresh forrest scented which ties into all the festive vibes! Finally for this gift guide comes a couple of more luxury purchases and I don't know any man who doesn't wear or love a good watch. Daniel Wellington have an amazing selection of watches for both men and women, but I find their selection of men's watches to be so timeless. For Christmas they are currently stocking a range of bundles and they have some lovely options to choose from for both men and women. A personal favourite of mine is their Classic Petite Melrose* (£159) which contains this beautiful black mesh strap and rose gold watch face, and a gold engraved cuff to match. (Make sure to use my discount code 'STYLEANDSPLURGING' for 15% off your order). The final gift for this gift guide is of course fragrance, as most men have a fragrance or two that they absolutely love and this time of year is the best time buy it in my opinion as there are always come great value sets about. Fragrance Direct currently have some amazing gift sets to choose from, all of which are slightly the cheaper than your high street department stores, so i'd highly recommend checking those out!